Beautiful large round vintage white wall mirror with bevelled glass for a look of luxury and vintage style. Perfect home decor display for the living room or hallway. Simple and so stylish, this mirror is perfect for modern, contemporary and traditional interiors. We also have many more mirrors round mirrors in a great choice of styles, sizes, shapes and colours. Mirrors are the best home accessory and will add a sense of light and space to a room. Beautiful large round vintage white wall mirror with bevelled glass for a look of luxury and vintage style. Perfect home decor display for the living room or hallway. Simple and so stylish, this mirror is perfect for modern, contemporary and traditional interiors. We also have many more mirrors round mirrors in a great choice of styles, sizes, shapes and colours. Mirrors are the best home accessory and will add a sense of light and space to a room. 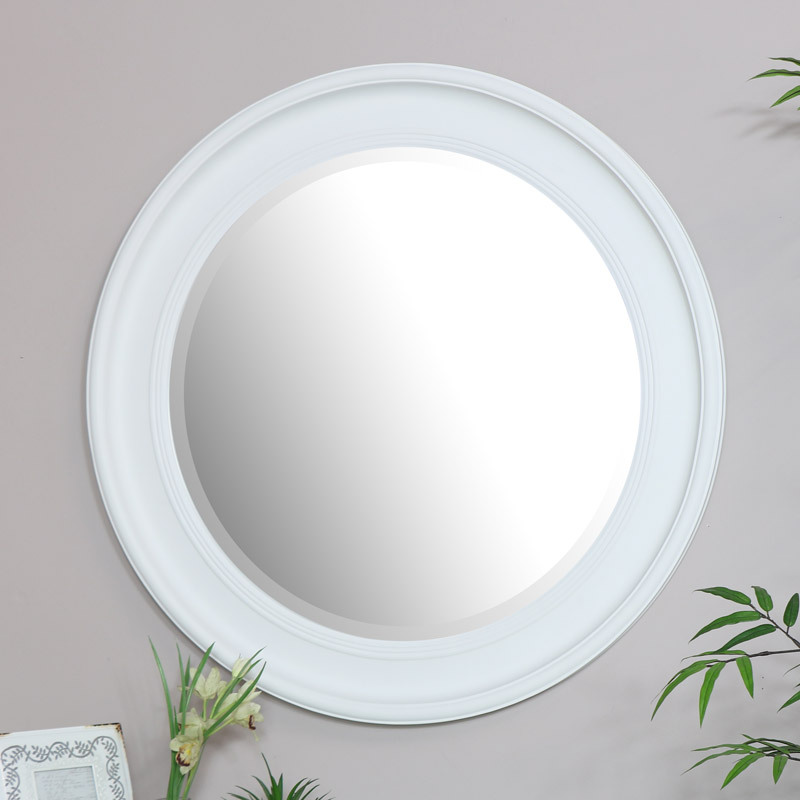 Shaped wooden frame in a white finish with circle bevelled mirror. 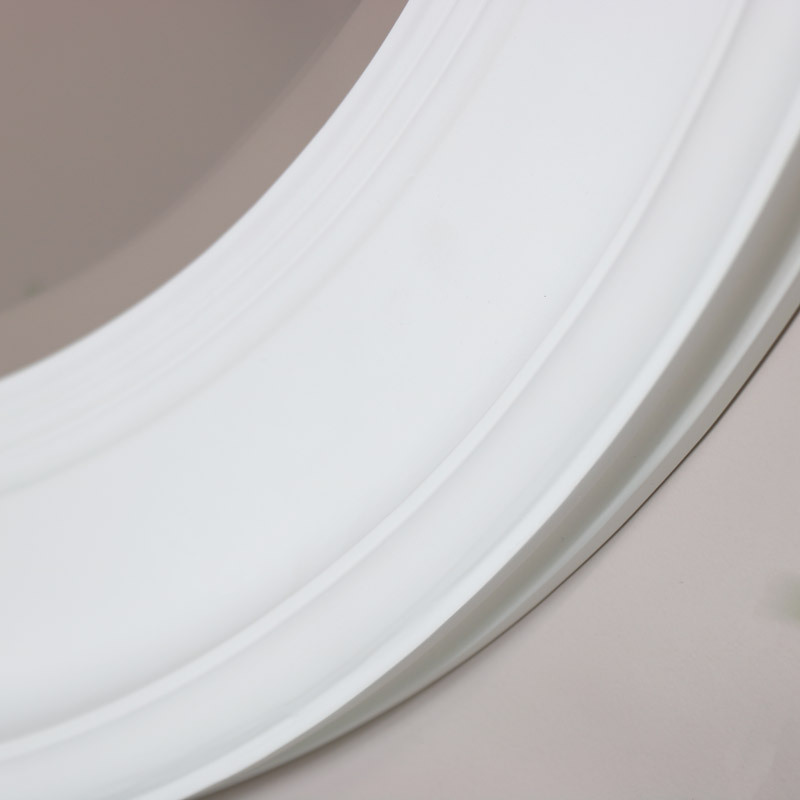 Easily wall mounted with 2 D-ring hooks on the back for hanging.